The new PARsource Commercial Electronic Ballast is the premium single-ended electronic ballast in the PARsource line. This ballast features enhanced “Smart” light indicators for ease of maintenance and diagnosis. The smart technology ensures the best performance and care of the ballast and the crop. 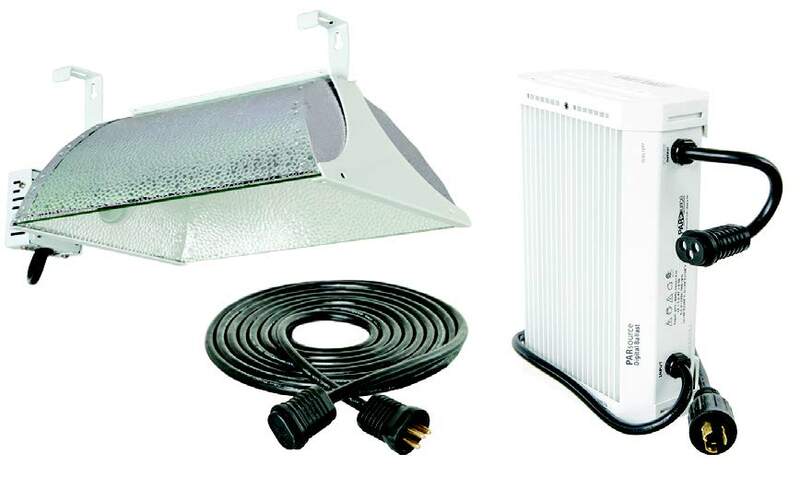 These ballasts power both metal halide and high pressure sodium lamps. Ask your PARsource representative for proper lamp pairings. 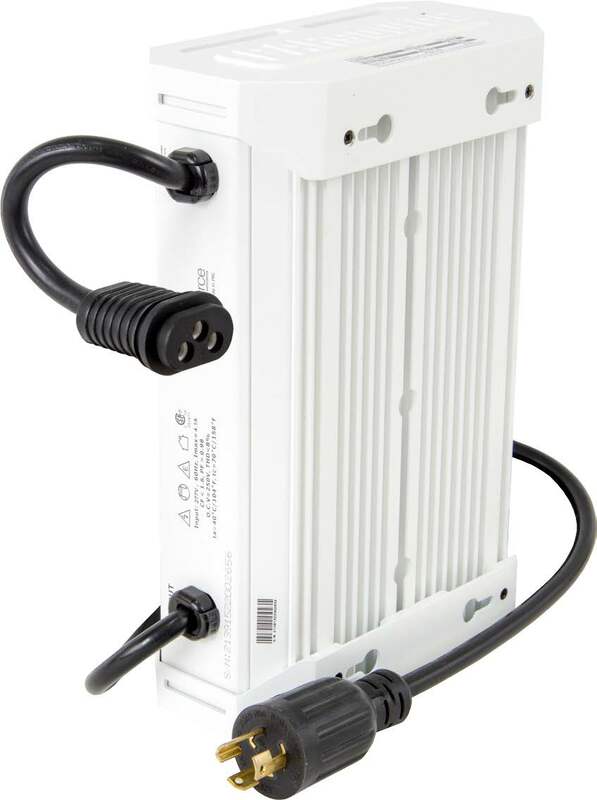 PARSource ballasts come fully equipped with our included 8' power cord, patented Lock and Seal Plug System, and a universal reflector adapteróall protected by our 2-year warranty. *GLX Lens System is optional. Please order separately if needed. *Hanging Hooks for remote applications are optional. Please order separately if needed. Smart LED Indicators have been built in to the PARsource Commercial Electronic Ballast. Take the guesswork out of troubleshooting with smart indicators that signal any issues with your ballast. GLX55025 GL Truss Hanger is included with Ballast.